2018 Yamaha AR240, Twin 1.8HO Yamaha Engines, Includes Galvanized Trailer. 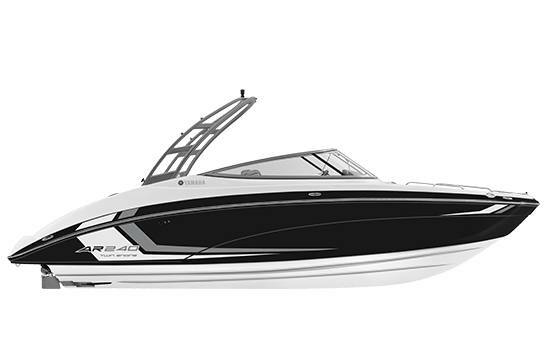 Helm Featuring Connext™: The 240 series features Yamaha's award-winning Connext™ helm control system with touchscreen or joystick operation. 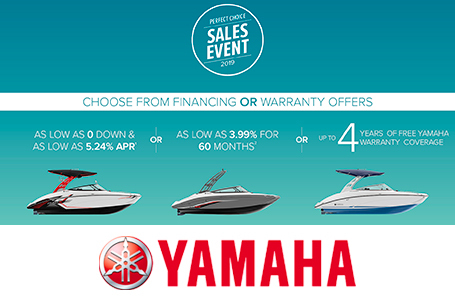 Removable Cooler: Every Yamaha boat comes standard with a cooler and dedicated storage area. 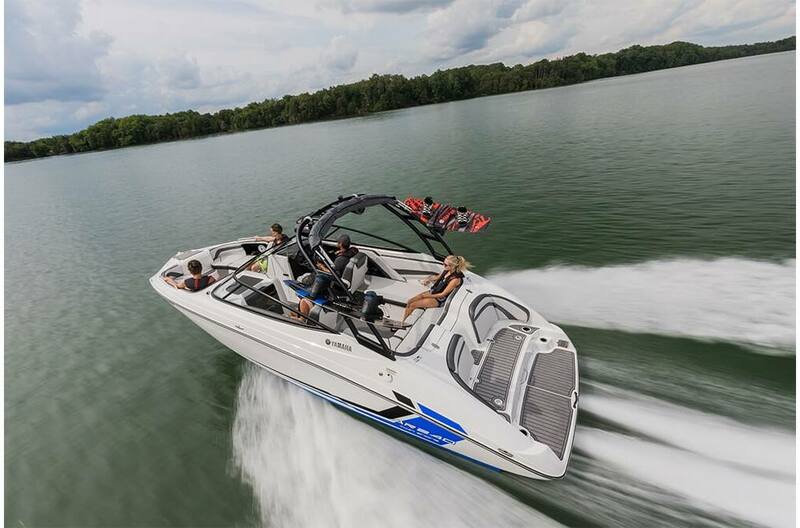 Swim Platform: Yamaha's patented design with backrest cushions, cupholders, stereo access and table mount and the ideal spot for prepping for watersports. Draft: 1 ft. 8 in. In-Water Height (Bridge Clearance): 7 ft. 10 in. Height on Trailer with Tower Folded: 8 ft. 6 in. Length on Trailer: 25 ft. Length on Trailer with Tongue Folded: 23 ft. 9 in. Dry Weight on Trailer: 5010 lb.